Create a board named for your blog – pin your blog posts there first before repinning. Pin from the original source. Then you (and your Pinterest board) will be named as the original pinner no matter how many times it is repinned. Have detailed boards broken down by micro subjects for areas you want to gain followers. Instead of “Food I want to try” create boards named “Cake Recipes”, “Decorating Tips”, “Barbecue and Grilling Recipes”, etc. 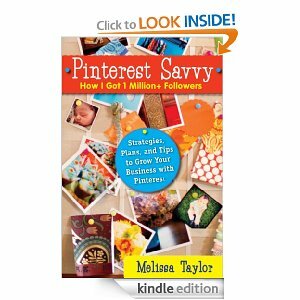 Since Melissa Taylor recommends things that I have already discovered to be effective, I feel that many of her other tips are worth giving a try. How to get 1000 Real Twitter Followers in 25 Days or Less. A Step by Step Formula. Thanks to Saving in Nevada for sharing this and other free books on Kindle. I don’t know how long this book will be free, so check the price before you “buy” it. You don’t have to have a Kindle to take advantage of this deal. You can download Free Kindle Apps for your Computer or Smart Phone . 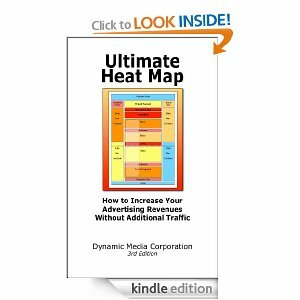 I just downloaded Ultimate Heat Map: How to Increase Your Advertising Revenues without Additional Traffic for FREE on to my Kindle. I more than quadrupled my adsense revenue on my primary blog last month, just by moving my ads around. I am really looking forward to diving into this book to see other ways that I can work smarter without working harder.